Little girls often have plenty of small things laying around, and today I have decorated a box divided into nine rooms for my daughter, perfect for hiding her small treasures. The girl papers from the Play Time collection are perfect for this kind of project. 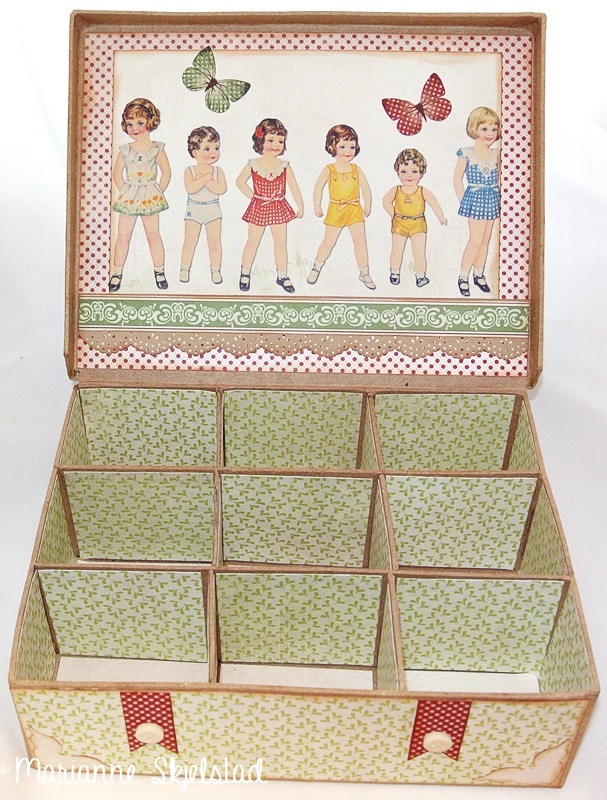 The paper dolls have been dressed with green skirts and I have decorated the box with tags, borders and butterflies. 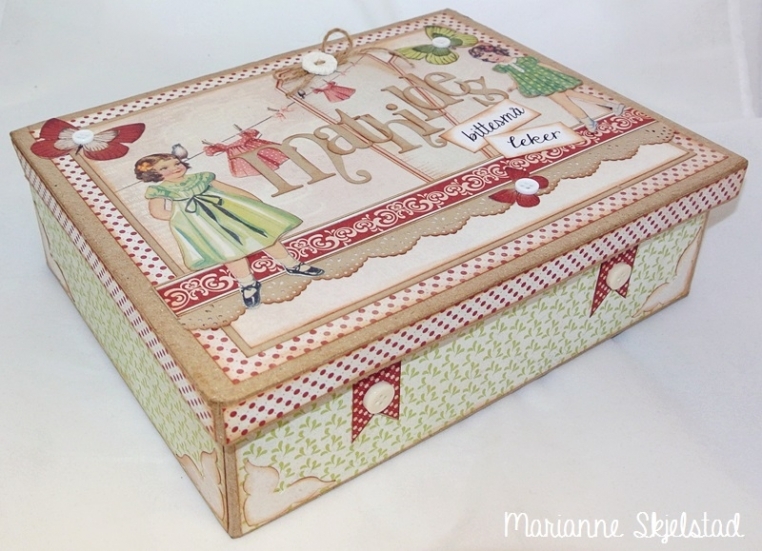 Since the box are going to be handled by the hands of small children I didn’ want to use so much embellishments, and even if I’m not used to keeping it this “clean”, all the sweet Pion details still makes the box so decorative. Inside the lid the paper dolls stands in line and I have decorated with butterflies and a border.